The Pros Get Personal in Sephora’s X’mas Booklet! + My top picks for Christmas | beauty. bikes. Looking beyond the fact that my name was spelt wrongly, (it’s Joanna, not Joanne!!!! everyone, please don’t get it wrong. ) 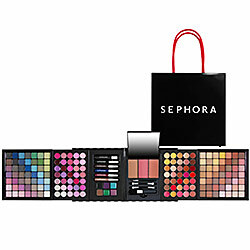 here are 12 makeup artists sharing their personal favourites from Sephora for Christmas. So many times when I’m in Sephora, I make it a point to go to the Bliss section just to get some of their Lemon + Sage Body Butter to slather over my arms.. Opps, I know I can just buy it, but I just love having that fresh burst of yummy scent all over myself. If you’re looking for cool Christmas pressies for your girlies (and also boy friends- they have great perfumes, skincare and bath goodies for dudes too!) 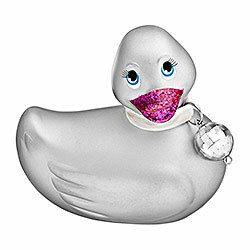 , make a stop at Sephora to check out all the new stuff they have for Christmas..
it looks cute, it floats in your tub, and…. *gasp* it vibrates!!! I’m not surprised if this set is already sold out by the time you read this. With 187 different colours, it boosts eyeshadows, lipglosses, eye pencils, gel eyeliners, blushers and travel brushes all in a cool folding set! A fantastic pressie that won’t break the bank, at only $79! 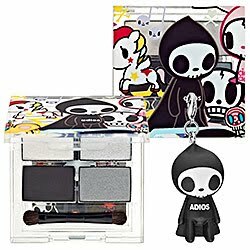 Italian artist Simone Legno, creator of Toki Doki, has teamed up with Sephora to create these cute palattes with amazingly rich colours , and a cool charm hanging off them. This guy on the palatte (above), is named Adios, looking suspiciously like the grim reaper.. but the devil suppossedly discovered his good natured ways and kicked him out of hell. Surely will put a smile on any of your japanese/tokidoki-crazy girlies! 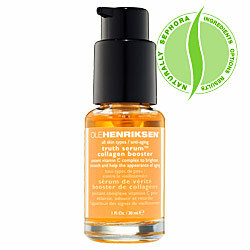 Your mouth might be saying your real age, but with Ole Henrikson’s Truth Serum, your skin surely will be lying about it! This collegen-boosting serum prevents and corrects the signs of aging, while feeling absolutely delectable on your skin. Best of all, it’s not heavy or greasy, even if you don’t have mature/dry skin, you can still enjoy the benefits (I’m talking amazing GLOW) of this product. So till Christmas comes, Happy Shopping!!! !